"If you have ever wanted to do business with a truly honest, caring Property Manager for rentals in Breckenridge, then look no farther"
"Ski Colorado Vacation Rentals has provided me the utmost in careful and honest management of my property while at the same time maximizing my rental income." "If any problem surfaces, Ski Colorado Vacation Rentals is quick to solve it immediately." 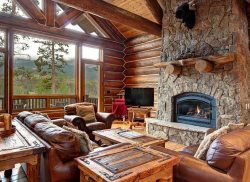 "Ski Colorado Vacation Rentals carefully matches the proper clients to their listings, and then watches over them closely to be sure the rentals are perfect in every detail.